The word oneg means "joy of the Sabbath," and refers to a celebratory gathering on Friday nights filled with food and socializing. 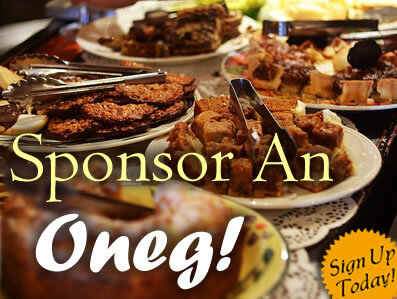 Oneg volunteers provide food to share and bring our Temple Beth Shalom family closer together. Please sign up to host or sponsor the Erev Shabbat (Friday night) oneg on a date convenient for you. You will receive a confirmation email from the temple office with further instructions.